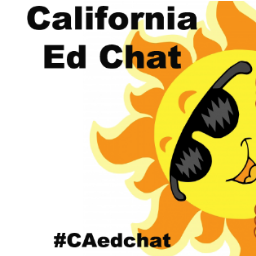 Sunday nights at 8:00 PM (PT), California EdChat (#caedchat) is my favorite place to be online. Educators from all over our state, along with a few dropping in from elsewhere, take up all sorts of topics relating to teaching. I think in the past several months I’ve probably participated about half the time, but missed the chat last night. Too bad, because it was a topic that seemed quite appropriate for our network, Accomplished California Teachers. The discussion for the evening focused on what separates a good teacher from a great teacher. I would find it challenging to simply label myself or others “good” or “great” – but I do think one of the greatest traits teachers can have is the ability to be honest with themselves about ways in which they are both “great” and… less than that. On those occasions when I miss the live interaction of #caedchat, I always go back to review what I missed and look for new and interesting people to follow on Twitter. Since this topic was so interesting and important, I decided to pick out ten excellent tweets to share. I encourage you to add your own thoughts about what makes a great teacher, or perhaps responses to specific tweets below. (If you see a tweet that starts off A1, A2, A3, etc., that means it’s an answer to a specific question from the moderator, with questions identified in sequence, Q1, Q2, Q3, etc.). And note – the retweet, reply, and Follow buttons are all functional! To keep up to date about this chat, follow @CAEdChat. You are also invited to follow me on Twitter – @CohenD, and follow Accomplished California Teachers as well – @AcmpCA_Teachers. ← L.A. Teachers and Education Reform Coalition: Irreconcilable Differences?